Dan Murray Joins Tableau for ‘Building a Data-Driven Organization’ Event Series | Tableau Your Data! TC14 may have just ended, but the Tableau events keep rolling. Their newest series of events focuses on building data-driven organizations through the power of data visualization in Tableau. The events will feature Tableau’s latest Zen Master, Dan Murray, who possesses extensive and diverse experience on the subject. The ultimate goal of each event is to show organizations how a data-driven culture can lead to powerful insight and growth. “I hope to inspire new users to download the trial and finish a project in their first 30 days,” said Murray. The event series stretches across six cities in the Western US and Canada. Each event features an interactive discussion, a keynote speech from Murray, panel Q&A and plenty of networking time. Based out of Atlanta, GA, Murray serves as Director of Business Intelligence for IT consulting firm, InterWorks. He holds over 30 years of business experience in key roles such as CFO, CIO, COO, VP of Planning and VP of Operations. 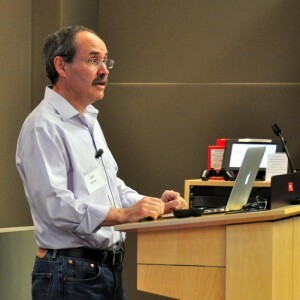 Murray maintains a reputation as a leader in the fields of data visualization and business intelligence, particularly within the Tableau community as a Tableau Zen Master. He helped create the first Tableau User Group in the US in addition to founding several others.